Why the yield curve matters and what it tells us. The Yield Curve Inversion that counts most. The signs that say a recession is imminent. Generally speaking, the yield curve refers to varying yields on U.S. treasury bills, notes and bonds. It can be used in describing other fixed-income securities, but for the purposes of this article, we will focus on treasury securities. Before we get into why the yield curve inverts and what that means, I thought it would be helpful to understand what drives the shape of the yield curve. In one word: risk. But it may not be actual risk as much as perceived risk (or expectations) that determines the shape and steepness of the yield curve. The reason the perceived risk increases over time and, therefore, the higher yield that is required is that the further we go into the future, the greater the uncertainty. Uncertainty is a form of risk, and investors want to be compensated for assuming that heightened risk. The opposite is also true, which is why the yield curve sometime inverts. When investors perceive that the economy is more likely to slow down over the short term (1-3 years) the yield curve will invert, with shorter maturities yielding higher rates of interest than longer-term maturities. This is where reinvestment risk comes into play. Reinvestment risk is the risk that interest rates will fall by the time a treasury security matures, and thus, result in reduced income that can be realized from replacing the debt instrument with another. When investors expect a recession to be imminent, they also expect that the Federal Reserve Bank will reduce short-term interest rates to shore up the economy. The result is that investors require the short-term debt issued by the U.S. Treasury (bills) to carry higher yields than longer-term debt instruments to make up for the reinvestment risk they expect to face upon maturity. On the other end of the treasury security spectrum, there is a perception that in time the economy will recover. There is also the expectation that the Fed will probably hold interest rates lower for some years to encourage economic activity. It is also important to note that longer-term maturities will have larger swings in price for the same change in interest rate relative to a shorter-term maturity. A rule of thumb is that a 10-year bond will move in price by about 9% for every 1% change in interest rates. The 30-year bond price would move more, and the 1-year bill price would hardly move at all. So, another part of understanding the yield curve is that when investors expect the Fed to lower interest rates in the future, they will buy long-term bonds expecting that the price will rise as rates fall. The bond price and interest yield have an inverse relationship. Therefore, expectations (as much as anything) are the reason for long-term rates to fall below. But expectations can really be defined as perceived risk. 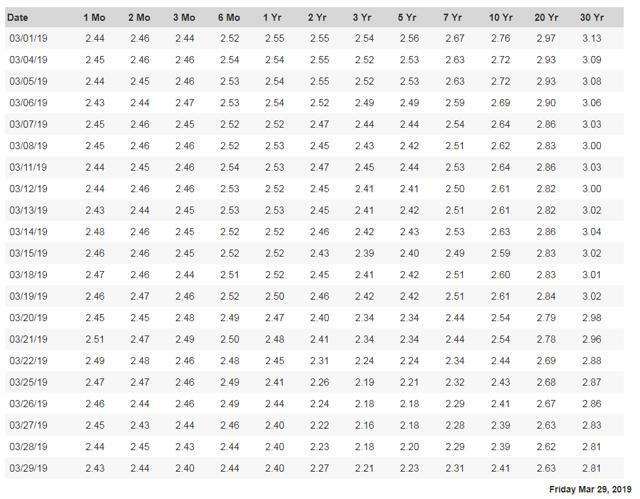 When investors believe that the Fed will lower rates, they move into long-term maturity bonds in hopes of capturing an appreciation in price. That added demand at the long end of bond maturities reduces price even before the Fed has begun to reduce interest rates. The result is an inverted yield curve. There are many different maturities, both long and short, that can be compared, and some have decent track records of predicting a recession in “most” cases. But only one combination has always been right in predicting a recession. Even then, the lag time from the initial signal to when the recession actually begins can be as short as six months or as long as two years. And only one combination has not produced false positive signals: in which an inversion occurred but no recession followed before the yield curve normalized and the economic expansion continued unabated. The only combination that has never been wrong (even though delayed generally by six to 18 months) is the 10-year/2-year. When the 2-year rate rises above the 10-year rate, a recession has always begun in the U.S. within the next two years. As you can see from the table above, the 10-year/3-moth yields inverted on March 22, when the 10-year yield dropped to 2.44% while the 3-month yield rose to 2.46%. But the 10-year/2-year yield spread has not yet inverted, so a recession should not be imminent. Of course, the yield spread has not inverted before every recession, so the lack of an inversion is no guarantee that all is well. On the other hand, the most reliable indicator of a recession has not yet flashed a signal. The point is that all the fear-mongering in the press is not yet justified by the yield curve inversion. I’ll start this section off with a video that makes a lot of sense when I think about it, and conclude with a summary for those who don’t want to watch the entire video. This is more a confirmation that the market is going to crash than a forward-looking indicator. But until it happens, there is still no telling if we are in a correction or heading for a crash. 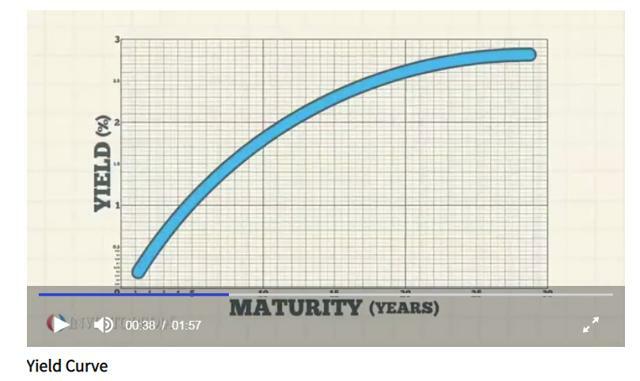 The most interesting thing about this video is the interactive chart showing the yield curve over time. 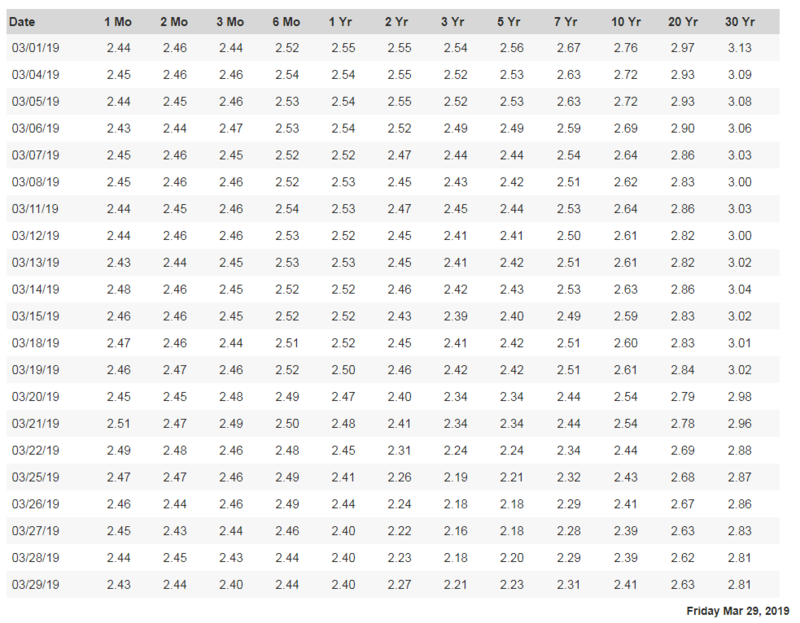 The animated yield curve chart can be found at this link from StockCharts.com. All you do is click on “animate” to watch the yield curve change over time. Now, to summarize the video, it shows us the yield curve over time and his theory is that every market crash is linked to reactions from the Fed. His assumption is that the Fed has more data available to it than anyone else. That’s a good assumption. When the Fed identifies real problems in the economy coming on the horizon, it starts reducing interest rates. The video also provides a brief example of how this also applies to foreign markets by explaining the Japanese bubble bursting in 1989 and how the BoJ (Bank of Japan) confirmed the impending crash with an initial interest rate cut. So, it isn’t just the Fed, but all central banks and foreign stock markets for which this confirmation process can work. Of course, one could argue that the Fed causes the crashes by raising interest rates too far too fast, and then must compensate by lowering rates when it realizes that the economy is slowing too fast. Until the Fed actually begins lowering rates, there is no confirmation of an impending crash. In fact, as the video walks us through examples of a flattening yield curve, there are examples of slight inversions that do not lead to a crash. The Fed took its foot off the brake (or increased liquidity) in time to prevent a recession and the economy resumed a growth mode. This also explains a lot of the recessions that have occurred without a yield curve inversion, but merely a flattening of the curve. The bond market did not, in those instances, predict a full-blown recession by inverting, but the recession came anyway. The confirmation came when the Fed began to lower interest rates. The Fed does not reduce interest rates without good reason, and according to the video, in every instance that the Fed has begun to lower rates, a bear market has followed. The important thing to remember from this video is that, from the point of confirmation to the bear market, there is almost no lag time. When the confirmation occurs, it is time to sell equities. You may not catch the top, but according to the examples shown, beginning in 1999, you won’t be far off. I have always held that if investors can identify a bear market within the first 15% of the drop, one will preserve enough capital to be well-positioned to take advantage of the next recovery phase and beat the market indices by a wide margin. This is just an attempt on my part to spread the word on a concept that makes a lot of sense and could potentially make a lot of investors more successful. When the Fed starts lowering interest rates, it is time to get defensive, increase cash and maybe even buy some high-quality, fixed-income securities. We might as well earn a little something while we wait for the worst to be over. I guess this is just another way of saying, “Don’t fight the Fed.” Now you may have a better understanding of what that old saying means. Additional disclosure: DISCLAIMER: This analysis is not advice to buy or sell this or any stock; it is just pointing out an objective observation of unique patterns that developed from our research. Factual material is obtained from sources believed to be reliable, but the poster is not responsible for any errors or omissions, or for the results of actions taken based on information contained herein. Nothing herein should be construed as an offer to buy or sell securities or to give individual investment advice.